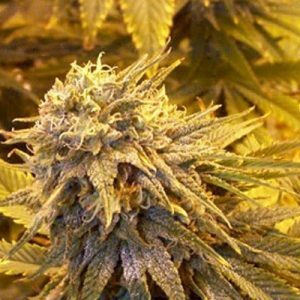 You will enjoy Super Skunk Auto-Fem cannabis seeds. The parents of this hybrid strain are Afghan and Skunk #1. It is almost impossible not to have plants that thrive because it is so easy to grow. It doesn’t matter so much with the soil, water, or sunlight as it does with so many other types of seeds. It is also resistant to disease and pests. It does have strong skunk smell so make sure you have a filter system if you grow it inside. We also make it easy to buy Super Skunk Auto-Fem cannabis seeds from us. This is one of our very popular product too. It has been widely recognized around the world and it has won quite a few top awards. We offer the 2.0 version, which offers you the exceptional quality but not the additional cost. This product offers a high that relaxed the mind and the body. Our seed bank is the ultimate place to buy Super Skunk Auto-Fem marijuana seeds for your personal use!